The Department of History of Art and Architecture, Trinity College Dublin and National Gallery of Ireland are pleased to invite applications for a funded collaborative doctoral award PhD studentship. – European Art Research. This theme offers the opportunity to undertake a research project relating to works from the permanent collection of European paintings, drawings and/or sculpture in the National Gallery. The research of individual works or artists in the collection is particularly welcome in Italian, Spanish, Dutch and French works, due to the particular strengths of the collection in these fields. For the area of Italian art, scholars can avail of the Sir Denis Mahon library and archive housed in the gallery. Projects will accord with the research agenda of the National Gallery and will be assessed in terms of their contribution to knowledge by means of a stringent review process. – Collecting, patronage and the shaping of a national collection – The role of key collectors/benefactors in the establishment of the National Gallery of Ireland and the development of its collection has significant potential as an area of research, particularly when placed in the context of similar activities elsewhere in Europe and North America. The NGI benefitted hugely from the munificence of such figures as Chester Beatty, Sir Hugh Lane, Sir Alfred and Lady Clementine Beit and, most recently, Sir Denis Mahon. Indeed, the interventions of such individuals influenced not just the value and breadth of the collection, but the character of the institution as a whole. As the nature of patronage towards cultural institutions changes in Ireland and beyond, it would be worthwhile to address the impact and legacy of representatives of an age of ‘grand benefaction’. 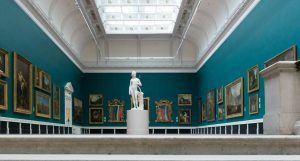 – An architectural history of the National Gallery of Ireland – The completion in 2017 of the refurbishment of the NGI’s Dargan and Milltown wings, and the very recent commitment of capital funding to the further development of the Gallery complex provide an ideal moment to analyse the architectural history of the institution. The conception, development and expansion of the building complex between 1854 and 2017 were realised against a constantly changing political, economic, and cultural background. Utilitarian and aesthetic concerns (and conflicts), meanwhile, informed the specific architectural character of the site. A comprehensive collection of archival material held by the NGI and other bodies would allow for a detailed analysis of the architectural evolution of the NGI, particularly in the context of Dublin’s ‘museum hub’ (between Merrion Square and Kildare Street), and the history of other European museums established at the same time. – The Yeats Family – Both TCD and the NGI boast rich and wide-ranging holdings relating to the Yeats family. Trinity College Library is custodian of the Cuala Press Archive, which includes published material, correspondence and administrative data. Among the NGI’s most important resources is the Yeats Archive, which includes Jack B. Yeats’s personal library and a large collection of artwork, correspondence and ephemera. The archive has been fully listed, and has been a resource for extensive publication, but there remains significant scope for the interrogation of its contents. The Gallery collection also includes artworks and archival material relating to other key members of the Yeats family, including John Butler Yeats, William Butler Yeats, Susan Yeats, Elizabeth Corbett Yeats and Anne Yeats. The 150th anniversary of Jack B. Yeats birth in 2021 also provides a compelling opportunity to investigate that artist in novel ways. The studentship is worth a fixed sum of €15,000 per annum, and is tenable for a maximum of three years, subject to satisfactory progress. The Studentship may be used in part to meet annual fees at EU or non-EU rate, as applicable. – an original and viable research project, pertinent to one of the project themes and which can be completed on time. Applicants should send a CV, a sample of written work in English, and a 1000 word research proposal to Dr Rachel Moss, the Head of Department (hoahead@tcd.ie). The application deadline is 31 March 2019. Candidates should expect to be available for interview (including by Skype) during the week of 29 April, 2019. The successful candidate is expected to take up the Scholarship in September 2019. 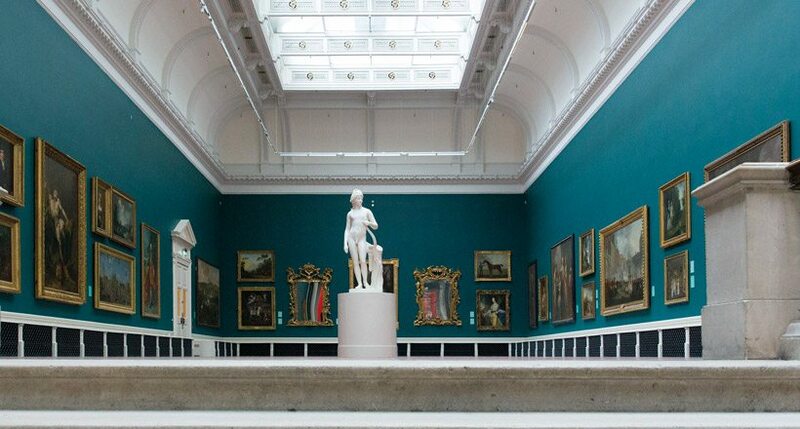 For informal queries intending applicants may contact the Head of the History of Art Department Dr Rachel Moss rmoss@tcd.ie and/or Head Curator, National Gallery of Ireland brooney@ngi.ie .